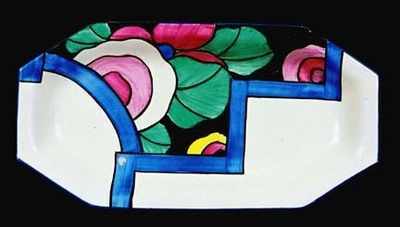 Tray in the Latona Dahlia pattern. Size 11.5 by 6 inches. Nice condition. only a very slight nick to the back and a smidgering of faded blue. Signed "Latona Bizarre by Clarice Cliff". Price £425.